Challenge: Delivering a test system capable of testing modern aircraft electronics while maintaining compatibility with existing hardware and software of the previous-generation system. Solution: Using the ProDAQ 3030 PCI Express slot-0 interface to integrate existing VXI instruments with new instruments, chassis, and host PCs. The electronic Consolidated Automated Support System (eCASS) is the next generation of naval aircraft electronics test systems for use onboard aircraft carriers, replacing the CASS systems currently in use. eCASS requirements include capabilities for testing new aircraft and reducing test times. Also, due to the high investment in software, the Navy requires the new system to maintain with existing test program sets (TPSs). Instruments are thus chosen to optimize for capability and compatibility. Requiring significant changes to either software or test procedures could result in high costs and delays. Lockheed Martin designed a hybrid test system including several VXI instruments in multiple VXI chassis. Due to requirements for newer aircraft and reduced test time, they needed to ensure high-speed data transfers between instruments and the PCI Express host PC, as well as very low first-byte latency. A PCI Express host PC was selected since this standard is replacing the PCI bus used in previous systems. Some of the other PCI Express slot-0 interfaces that Lockheed Martin evaluated required test system components to be powered on in a particular order and would cause the system to crash if portions were powered off. This was deemed unacceptable. 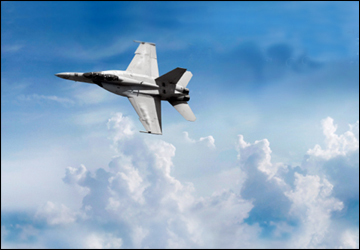 The engineers at Lockheed Martin chose the ProDAQ 3030 PCI Express VXI slot-0 interface from Bustec to meet the compatibility and performance needs. By supporting the PCIe hot-plug standard, the ProDAQ 3030 interface allows test operators to power up the PC and VXI chassis in any order, as well as power cycle the VXI chassis without requiring shutdown of the host PC. As the first VXI controller to support the new VXI-1 Rev. 4.0 standard, the ProDAQ 3030 interface fully supports 2eSST transfers, delivering up to 320 MB/s of throughput and latency of less than 2 µs for single word transfers. The ProDAQ 3261 host interface function card is a PCIe card that connects to the ProDAQ 3030 interface using high-speed PCI Express serial bus. There also is a ProDAQ 3262, a PCI card alternative that delivers backward compatibility for using the ProDAQ 3030 interface with PCI-based host PCs. By using the ProDAQ 3030 interface with the ProDAQ 3261 host interface function card to connect multiple VXI chassis to the PCI Express host PC, Lockheed Martin designed a system that preserved existing test procedures and compatibility with existing TPSs while delivering high performance to meet new testing needs and reduced test time requirements.